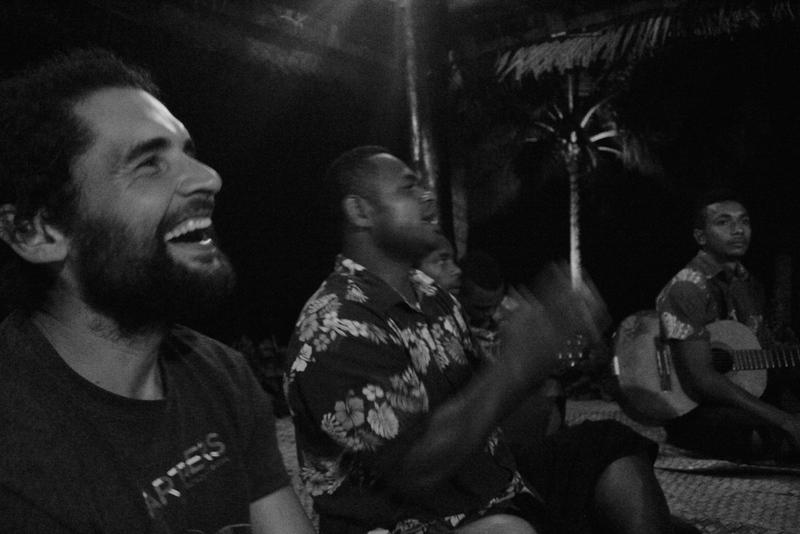 Once a week, Paradise puts on a Fiji Night. On Fiji night a lovo, or feast cooked in the earth, is prepared for the resort guests. 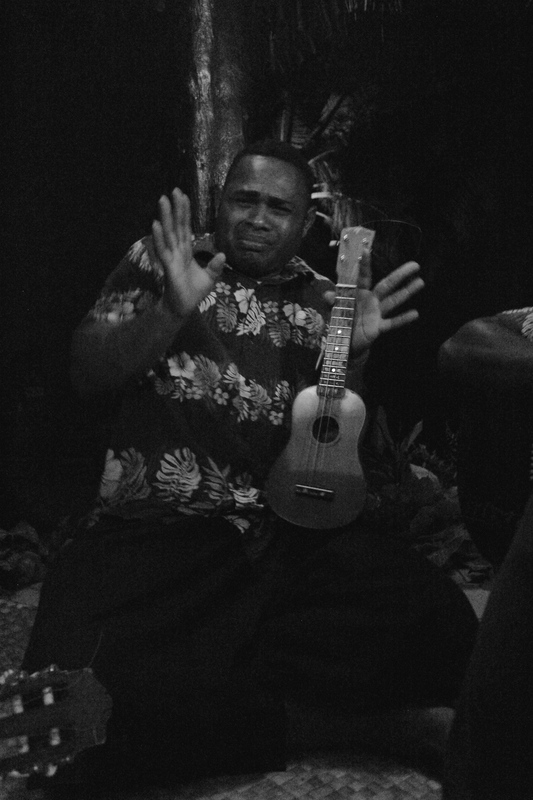 Guests are also entertained with Fijian music and dancing. 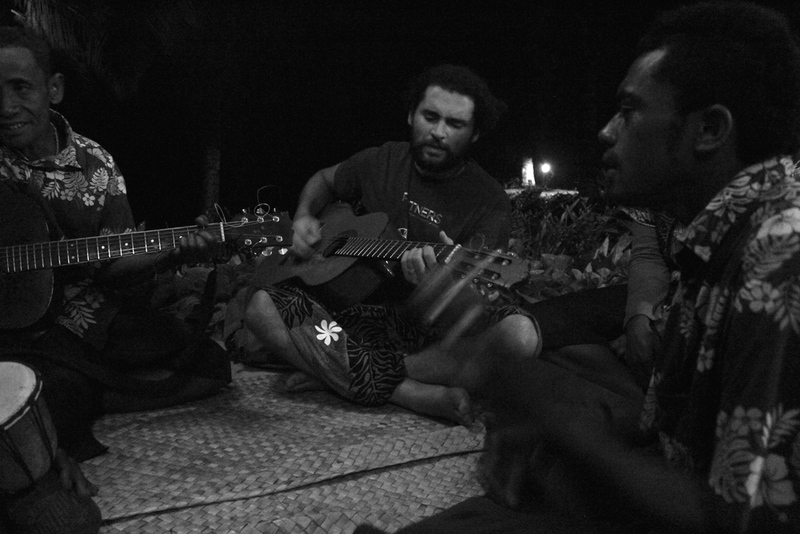 The night ends with music, storytelling and yaqona (yah-ngo-nah) also known as kava. The lovo tradition is common in the Pacific islands; it is known as a hangi in New Zealand, imu in Hawaii, and umu in Samoa, Tonga and the Cook Islands. The lovo is a pit that is about a foot and a half deep. Kindling and wood are stacked into a platform where rocks are piled on top. A fire is lit and left to burn for a couple of hours. Then the leftover wood and embers are removed from the pit, leaving only the hot rocks. Slivers of coconut frond stems are then placed on top of the hot rocks, leaving a surface for the food. The food is added and covered with large, heart shaped Via (Samaon taro) leaves. Our lovo favorites are dalo (taro) and cassava (tapioca). We also love uvi and tivoli, which are both wild yams. All of these root vegetables are placed at the top of the lovo. Everything is covered and left to cook for about an hour. After dinner, yaqona is served. This is the drink made from the root of the kava plant, native to the Western Pacific. It is commonly known by the Tongan and Marquesan name kava and also as ‘awa in Hawaii and ava in Samoa. It has sedative and anesthetic properties, so it fits in perfectly with the laid back culture of the islands. Its key properties are relaxing without disrupting mental clarity- quite different from the effects of alcohol. Yaqona is a huge part of culture and is used in medicine, ceremony, politics, religion and general socializing so it’s a must try for visitors to Fiji. Yaqona is shared in a communal carved bowl, called a tanoa and passed around in a half-shell of a coconut, called a bilo. 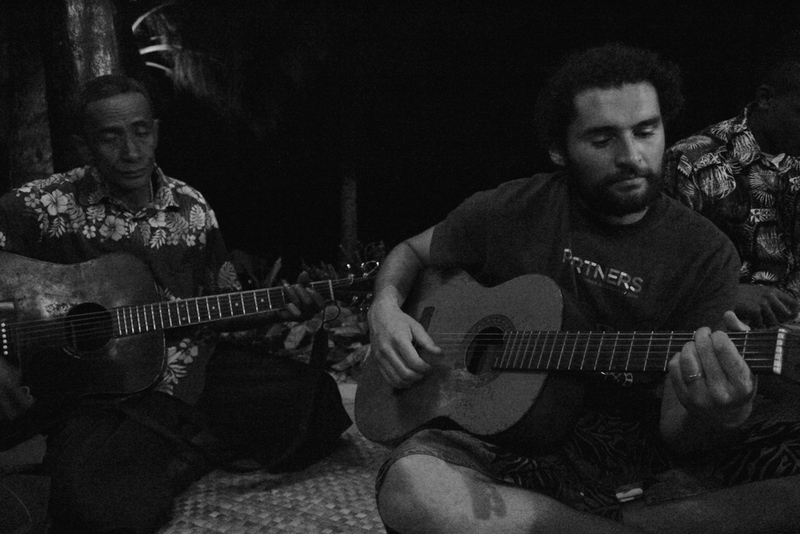 We love sitting around the kava bowl and hearing funny stories and beautiful music. We also love the good night's sleep we get after an evening of mixing yaqona!